Prince Harry and Meghan Markle will put their own modern twist on their wedding, but with his grandmother heading the Church of England, Saturday’s service will still be a traditional Anglican ceremony. 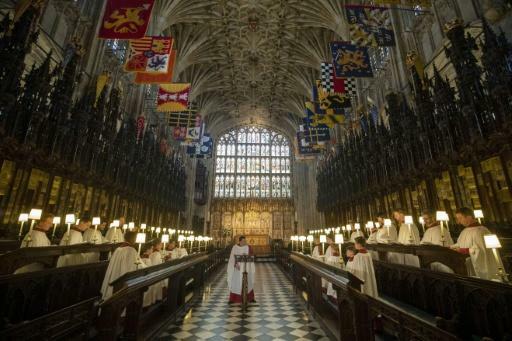 The couple’s influence is more likely to be found in the tone and feel of the event in St. George’s Chapel at Windsor Castle, rather than the structure. A firebrand US preacher revving up the sermon, local springtime flowers and no political bigwigs in the pews — these are the touches that the British royal and the former actress are bringing to the ceremony. But the framework will remain that of a classic Church of England marriage service. A Church of England wedding service begins with a welcome and a hymn. David Conner, the Dean of Windsor who is the chapel’s senior cleric, will give the introduction. This is followed by the declarations and vows. The presiding minister asks if anyone present knows of any reason why the couple cannot lawfully marry, saying they should declare it immediately or forever hold their peace. Justin Welby, the Archbishop of Canterbury, will then officiate over the marriage vows. The archbishop is the Church of England’s senior primate and the spiritual leader of Anglicans worldwide. The wording depends on which version of the marriage service the couple prefer. Some opt for very traditional language and declarations, while others prefer more modern interpretations. Markle will have to recite all of Harry’s given names: Henry Charles Albert David. Royal brides have often stumbled at this hurdle. They both use the answer “I will”, after which the minister declares them man and wife. At this point, the couple are legally married. The hour-long service will then feature hymns, a Bible reading, the Lord’s Prayer and a sermon. The wedding’s main speech will be given by Michael Curry, the head of the Anglican church in the United States. The primate of the Episcopal Church will write his own address on the nature and duties of marriage. The church’s first African-American leader, Curry is a lively, animated speaker in the US tradition and could be the star turn in a setting more used to rigid formality. Markle’s father is an Episcopalian, while her mother belongs to another Protestant church. Nonetheless, Markle attended a private Roman Catholic girls’ school in Los Angeles. She was baptised into the Church of England by Welby in March. She is understood to have joined the Church of England out of respect for Queen Elizabeth, though the decision also eliminates any doubt about the couple’s standing in the royal family. The service will end with the national anthem, “God Save the Queen”. The couple will then have to go and sign the marriage register. Harry will bow to Queen Elizabeth and his bride will curtsey as they leave. For marriages in England to be legal, they must be conducted by or in the presence of someone authorised to register marriages in the district. The marriage must be entered in the marriage register and signed by both parties, two witnesses, the person who conducted the ceremony and the person registering the marriage if it is not the ceremony conductor. Couples can marry in England at 18, or at 16 with parental consent. Runaway English couples aged 16 to 18 traditionally eloped to Gretna Green, the first village in Scotland, where under Scottish law they could marry without their parents’ say-so.